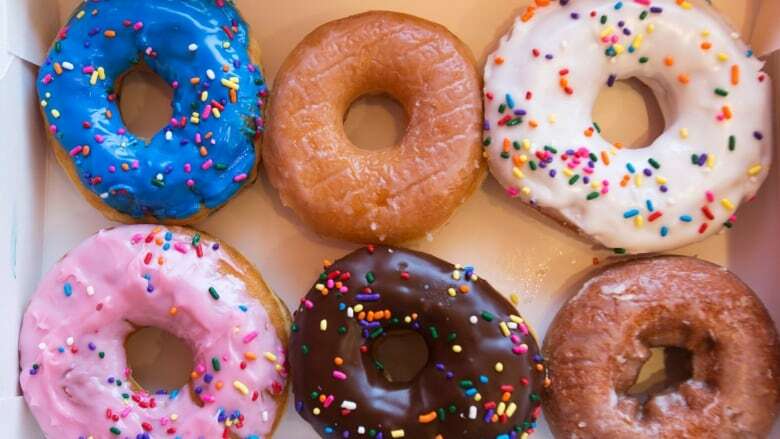 A new campaign is raising money to help Albertans "vote with their gut" in the upcoming spring election by giving out free doughnuts at advance polling stations. Jason Krell, a Calgarian who works in communications, says the idea initially started as a joke after a tweet from his friend, blogger Mike Morrison. "Looking at photos of the giant lineups for free Stampede pancakes and thinking about how many times I hear 'I didn't have time to vote!' has lead me to one simple conclusion: Election Day pancakes," Morrison tweeted last summer. "People were saying how they thought it was a really good idea," Krell said. "And so, one of our co-organizers decided, you know what, I'm going to get some friends together who are equally passionate about the electoral process and doughnuts and we're going to make this happen." Democracy Donuts is currently raising money with a goal of $2,500 to hand out 200 doughnuts each at five advanced polling stations in Calgary. The locations will be chosen at random and promoted on the group's social media channels. Any additional funds raised over that goal will be donated to Civix, a non-profit organization that works to engage youth in the democratic process. Krell said even though some members of the group have been politically outspoken (Morrison has publicly tweeted in support of the NDP and criticized the UCP) it's a non-partisan initiative to simply get more people out to the polls, no matter the party they support. "This is an important election and we want everybody to exercise their rights and to, as we say, vote with their gut. We're not attached to any particular political party," he said. "Our goal is to bring people together after they've voted and hopefully give them something they can agree on." Krell said the group has spoken to Elections Alberta and the organization is in support of the initiative as long as it remains non-partisan. "We think it's a really good initiative to encourage voter turnout," said Drew Westwater, Elections Alberta's deputy chief electoral officer. "They do not have a political agenda … they're just a citizens group that wants to reward and thank residents of Calgary for coming out and participating in the democratic process." Democracy Donuts had raised nearly $700 as of Thursday afternoon.